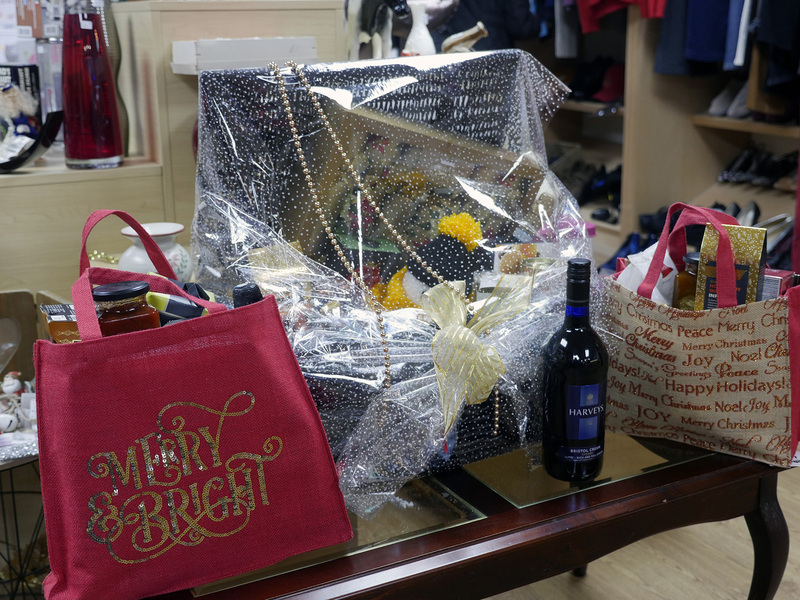 Last Friday 15th December, Help & Care held a Christmas Hamper Raffle at its charity shop in the Southbourne Grove, Bournemouth. The raffle raised £500 that will support Help & Care’s volunteering services, which does not receive funding from any sources other than individual donations and fundraising events. Help & Care’s volunteering services aim to help local people from Dorset, particularly those who are isolated and housebound. The service includes Telephone and Home Befriending, the Walking Group and Driving Escorts to essential appointments. “Our volunteering scheme provides essential services that make a real difference to people’s lives. Many of our clients are housebound and feel isolated and lonely. Receiving a regular phone call or meeting a volunteer for a friendly chat gives them something to look forward to and helps them feel happier.” Nisa Leach, Help & Care Volunteer Coordinator. The Christmas Hamper didn’t cost anything to the charity - all the items were donated by Help & Care employees and Celebration Crackers, a local organisation. In the end, there were many donations so it was possible to raffle three prizes. On Friday afternoon, the raffle took place at the charity shop and the winners were announced and contacted. “When we picked up the first ticket and called the winner, it turned out to be the partner of one of the Help & Care employees. He decided to give up the prize to someone else, so we picked another ticket. The winner was one of our regular customers.” Help & Care shop volunteer. From Help & Care, we would like to say a big thank you to all staff who donated items for the hamper. A special thank you to Kairos for printing the raffle tickets and Celebration Crackers for donating crackers for the hamper, wrapping the hamper and also donating Christmas hats and Santa dress up outfits for the shop. 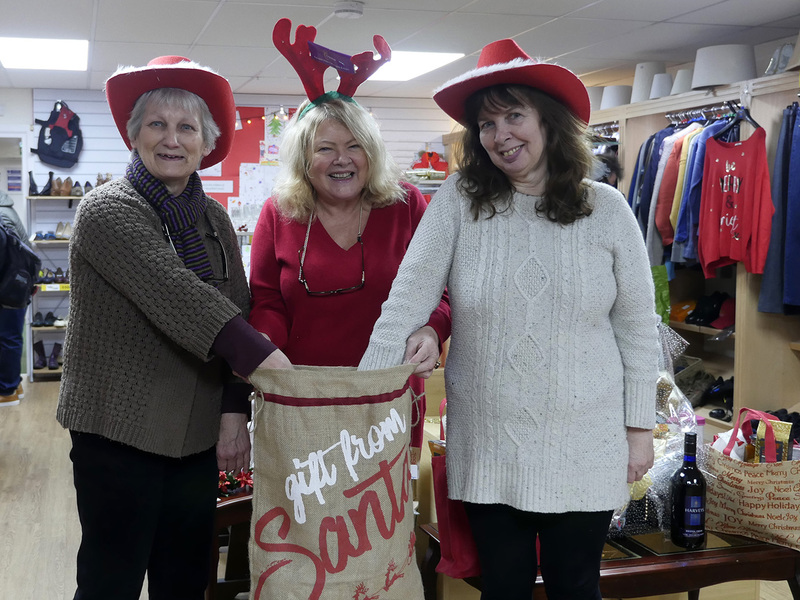 In the picture, from left to right, Val Arrowsmith (Shop Volunteer), Lesley Derrick (Shop Manager) and Margaret Jane (Shop Volunteer).